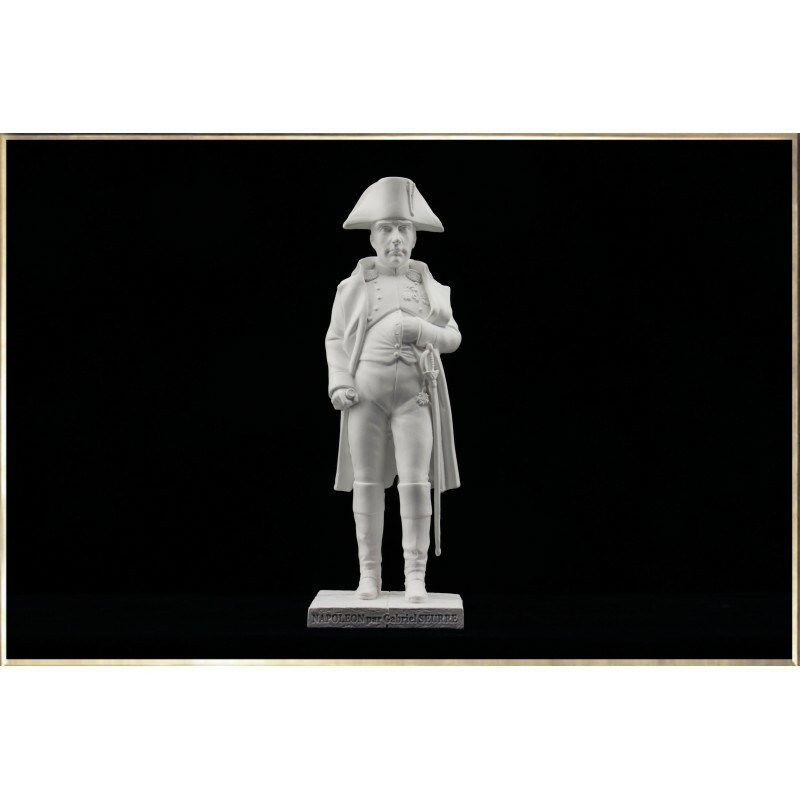 This white marble-like replica of the sculpture created by Charles Emile Marie Seurre said "Seurre young" represents Emperor Napoleon in his campaign coat, holding in his right hand his field-glass. In 1863, Napoleon III, believing that this precious statue is in danger, deposed and replaced it by a copy of the first statue of Napoleon as a Roman emperor. During the insurrection of the Paris Commune, the painter Gustave Courbet addressed a petition to the Government of National Defence on the 14th September 1870 asking to unbolt the column. "The Paris Commune, considering that the imperial column in the Place Vendome is a monument of barbarism, a symbol of brute force and false glory, an affirmation of militarism, a negation of international law, a permanent insult of the victors over the vanquished, a constant attack to one of the three main principles of the French Republic, brotherhood, enacts as follows: single article - The Column Vendôme will be demolished. " On May 16, 1871, the column is destroyed, not without difficulty, but the bronze plaques are recovered. After the fall of the Commune, the new president, Marshal MacMahon, decided in May 1873, to rebuild the Column Vendome at the expense of Gustave Courbet (costs being estimated at 323,000 francs). Gustave Courbet gets to pay close to 10 000 francs per year for 33 years, but died before paying the first bill. Today the statue of Seurre lies in the courtyard of the Hotel des Invalides.